Published on Thursday, November 8, 2018. Eager visitors pack the aisles at the opening night preview of SOFA 2018 in Chicago. Prior to this year, I had never attended the Sculpture Objects Functional Art and Design expo – otherwise known as SOFA – but I had heard plenty about it. I knew to expect booths packed with stunning work in glass and other mediums and sometimes stunning price tags. I knew that I would see collectors, artists, and students packing the aisles. But what I actually found, when I went to the 25th installment of the annual show at Chicago’s Navy Pier, surpassed all expectations. The sheer breadth and quality of work was stunning; I quickly checked my backpack for fear of knocking one of the densely packed pieces over. Here are five highlights – culled from many qualified candidates – from SOFA. At Melissa Morgan Fine Art’s booth, Anthony James displayed his piece Portal Icosahedron, an LED-lit, mirrored ball of glass that rises above waist-height. Looking into it, the viewer sees an infinite-seeming thicket of light strips, like some thorny and illuminated forest. 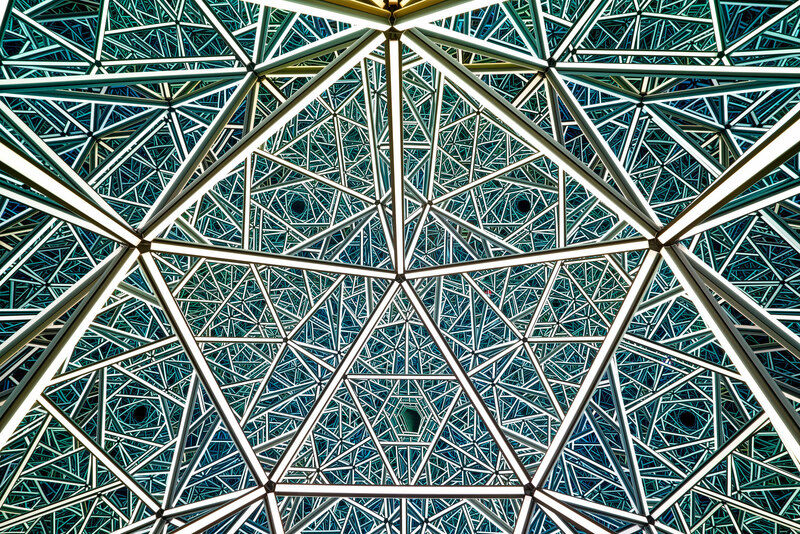 Patterns emerge – loops, triangles – but try as you might, you’ll never see out the other side. Glass artist Dylan Martinez showed off his Glass Water Bags courtesy of Lyons Wier Gallery. The optical-illusion pieces were a hit among showgoers, who were unconvinced – even inches away – that they were glass and not plastic and water. “I wish we could touch them,” one was heard to say. 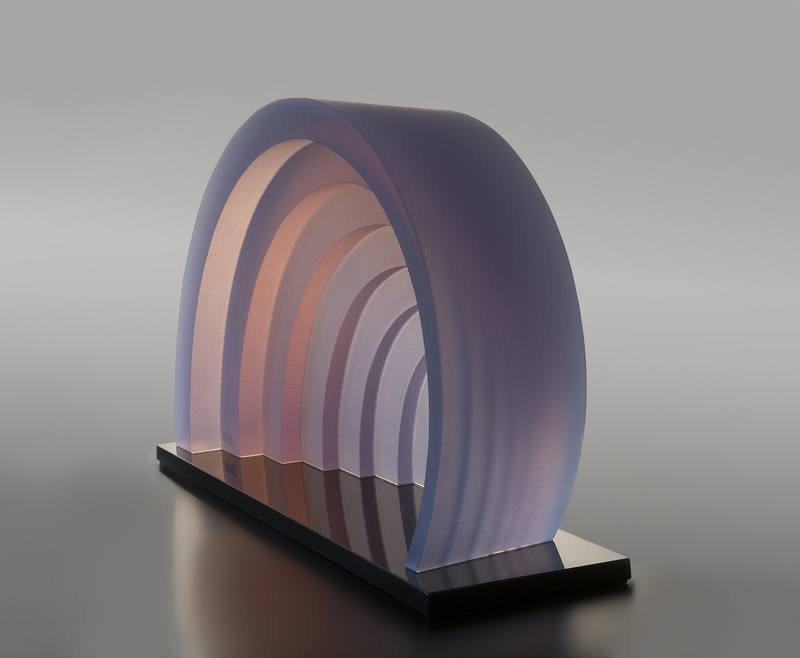 Bender Gallery featured Mark Peiser’s Passage 7, a smoothly curved and ridged glass piece that, in its elegant form and subtle purples and peaches, seemed to evoke either a sunset or an old Hollywood theater. Ball State University’s booth highlighted the Marilyn K. Glick Center for Glass. Some pieces in the booth were from the center’s collection of studio glass, including gifts from the Indiana Museum of Art. Others were works by glass artists that had visited the Glick Center, which hosts numerous makers to help students get exposed to different techniques and perspectives. 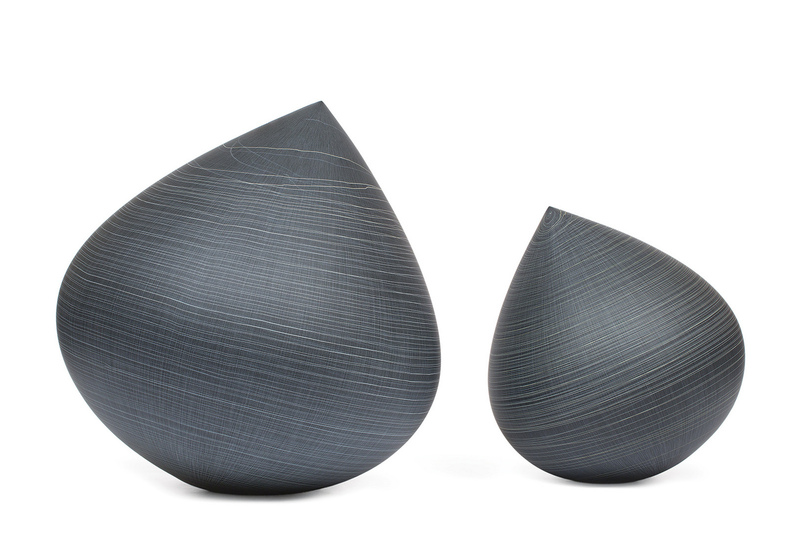 Traver Gallery displayed Nancy Callan and Mel Douglas’ Interweave and Interwoven Droplets. Though they look, at first glance, like they are made of thread, these pieces are actually cold-worked and engraved glass – fitting summaries of the ingenuity and surprise that waited around every corner at SOFA. 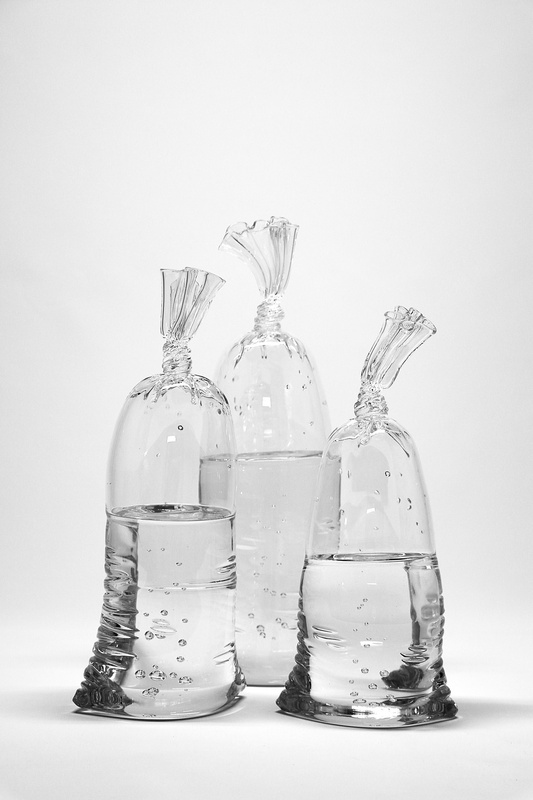 Dylan Martinez's lifelike Glass Water Bags. Formal elegance and unique color go hand-in-hand in Mark Peiser's Passage 7. 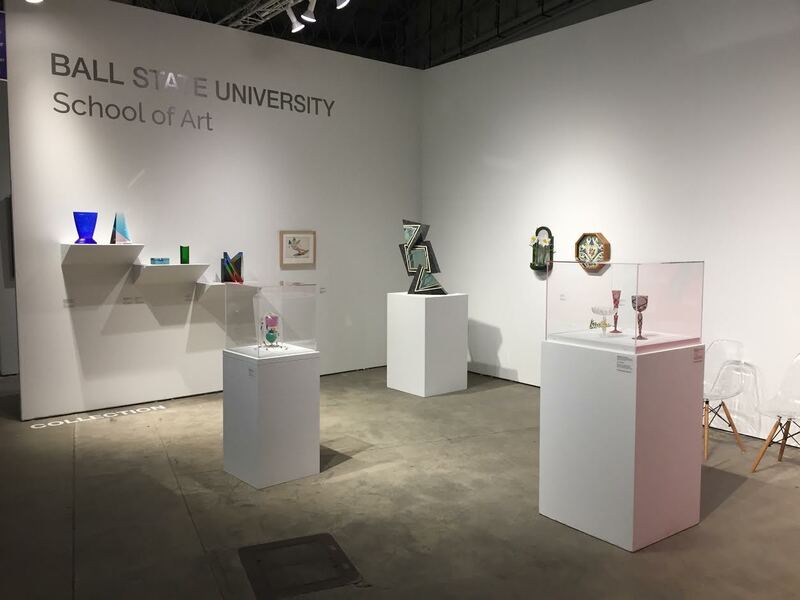 Ball State University's booth at SOFA featured works from the Marilyn K. Glick Center for Glass' collection and from visiting artists. Dylan Martinez's clever glass sculptures. Seattle glass mecca Traver Gallery. Glass artist Mark Peiser's career is defined by innovation.